The enormous Eurobike bicycle and equipment manufacturer exposition took place in Germany this past week and Interbike (the much smaller American cousin) begins on September 18th in Las Vegas. This is the time of year when the new models come out, when supplies in bike shops are limited because no one wants to stock an outdated 2013 bike when the new models are waiting to be shipped, that is once the bikes stop being paraded around and displayed at tradeshows. 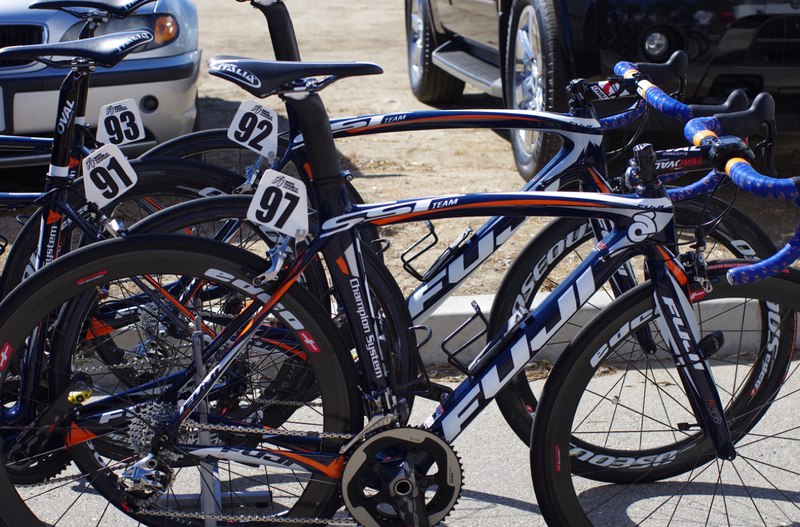 Still the racing season is not over yet, these bikes continue to be raced upon. This is a farewell of sorts to the best and fastest of them all - those dream machines ridden by the pros which we all wish we could own and ride ourselves. I was fortunate to hang with the best this year. 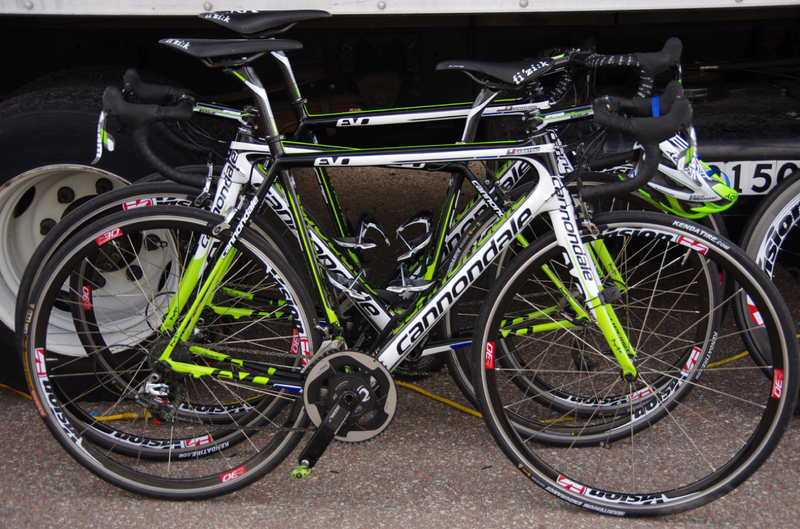 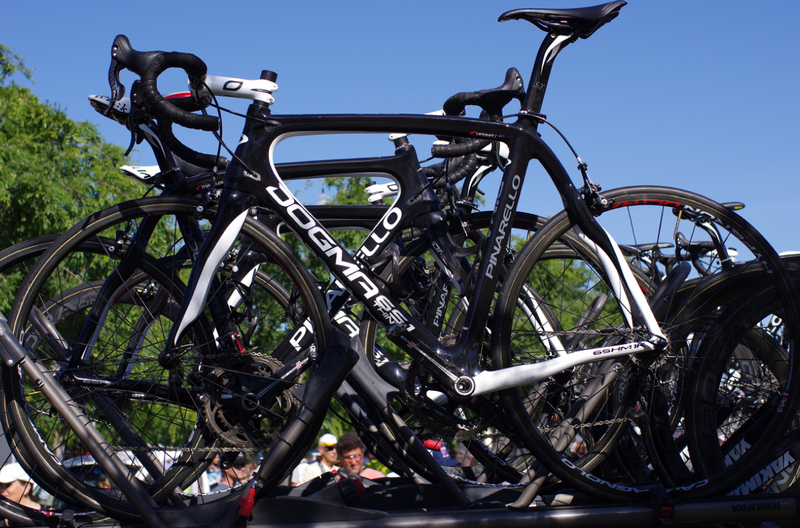 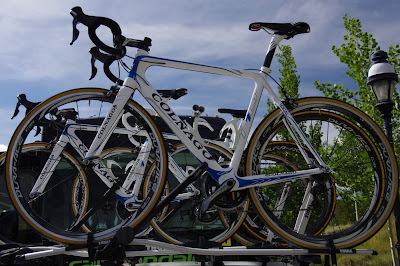 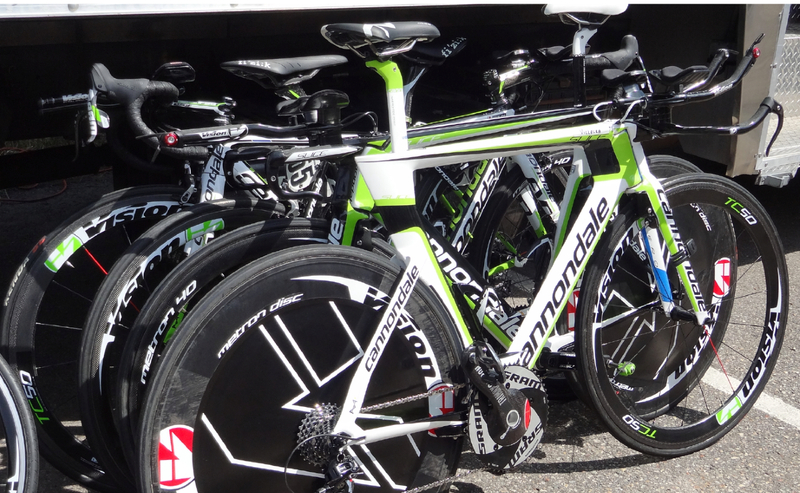 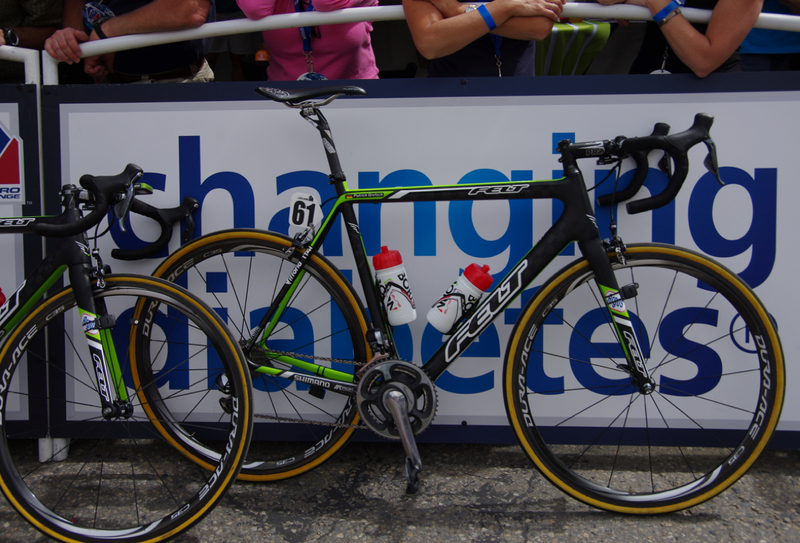 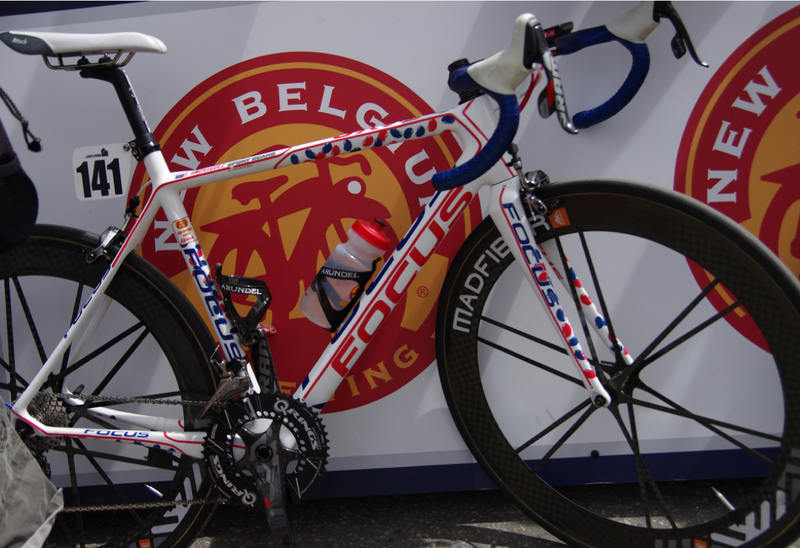 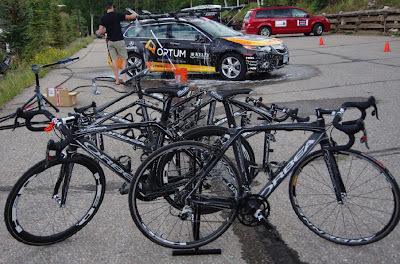 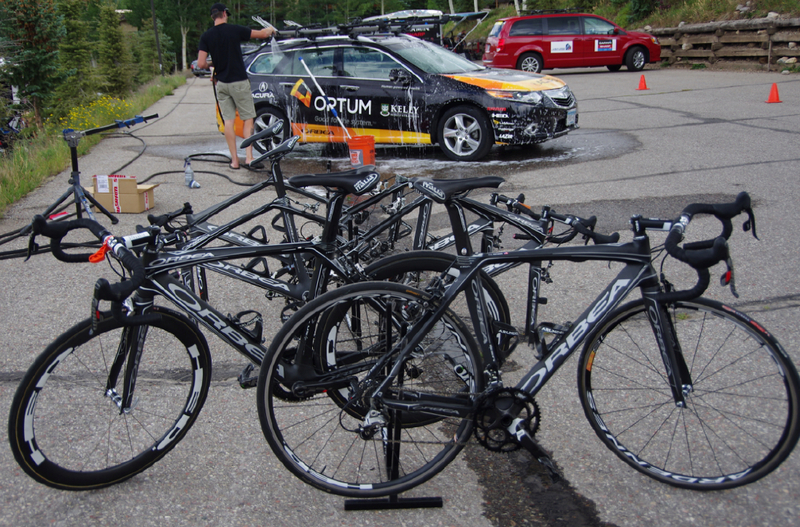 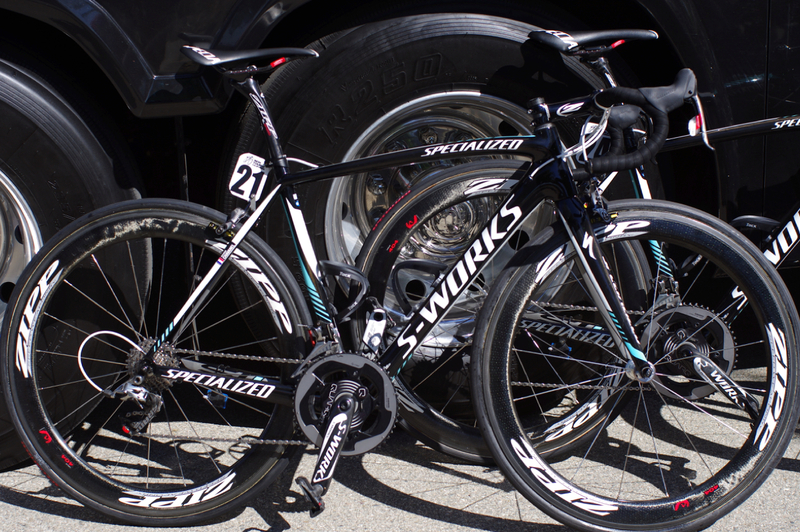 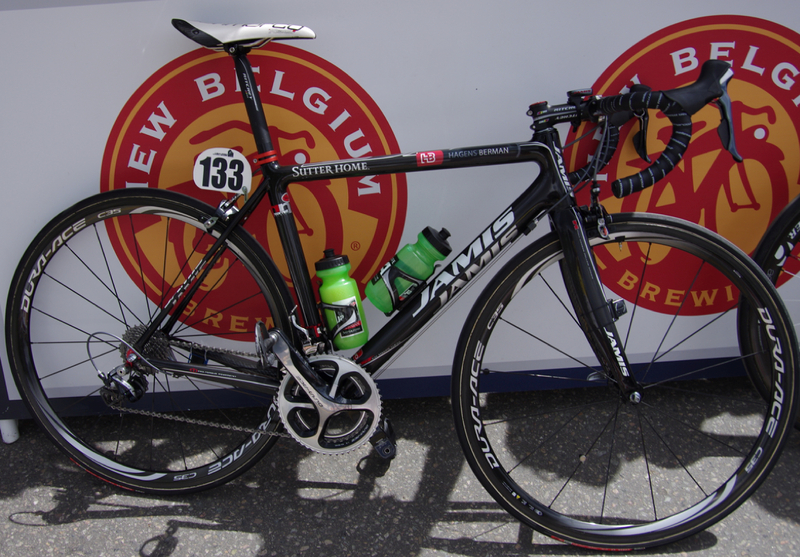 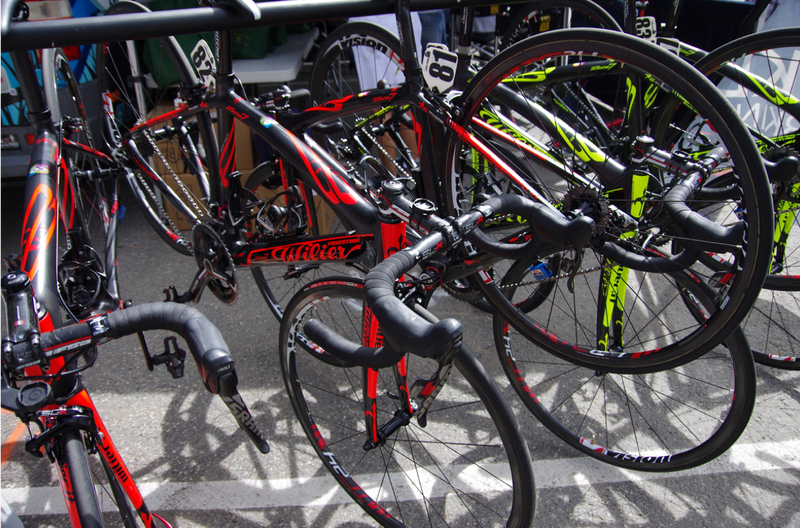 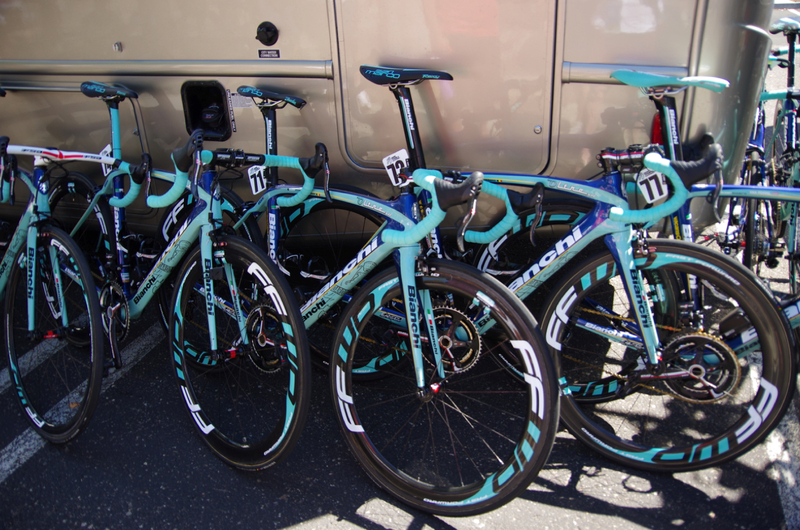 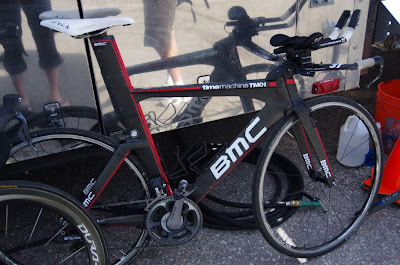 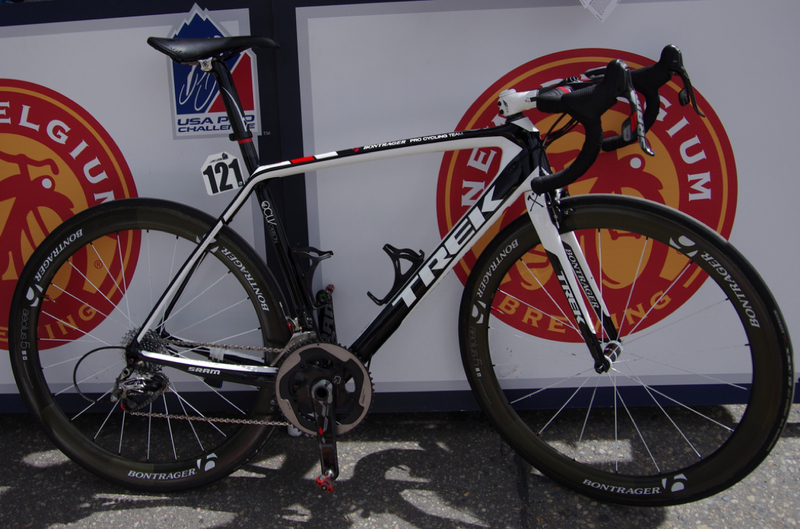 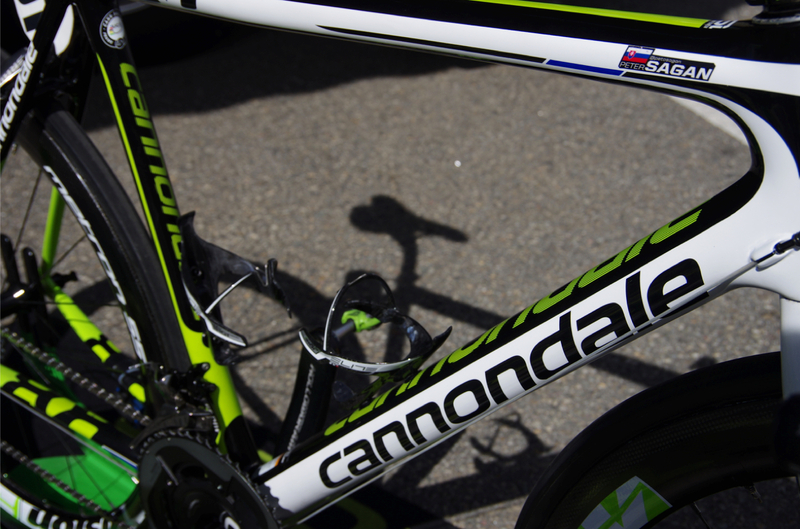 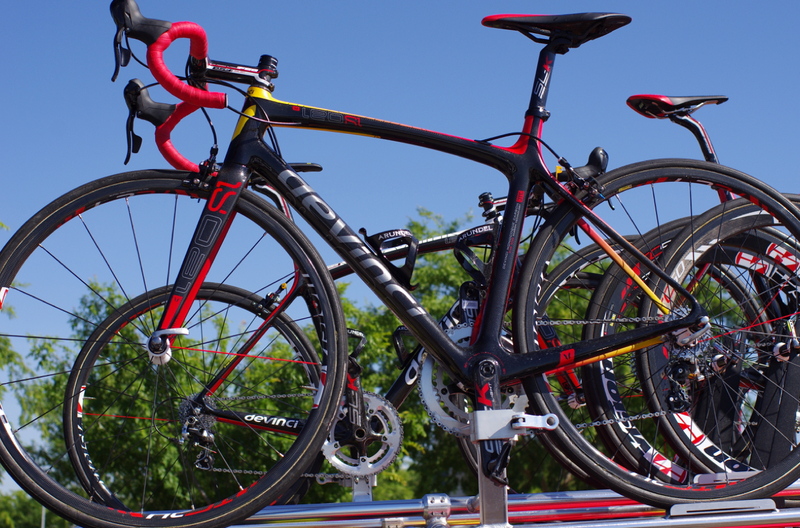 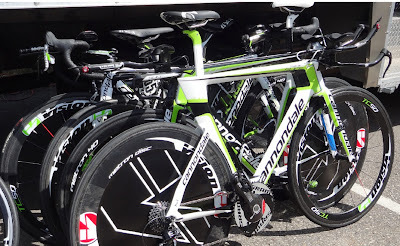 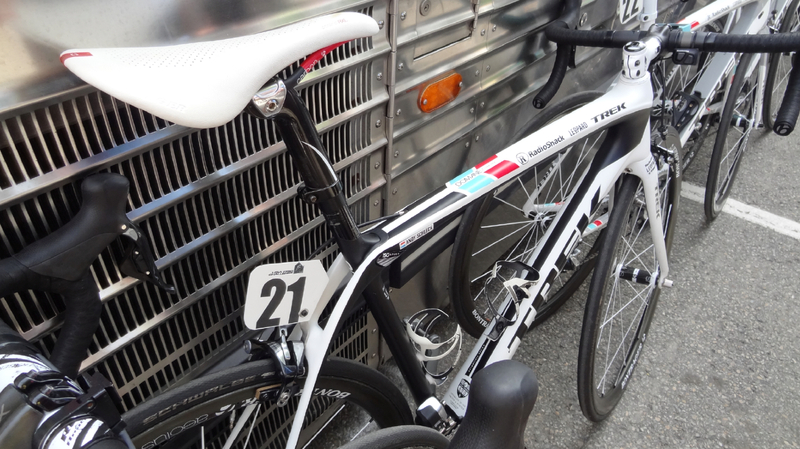 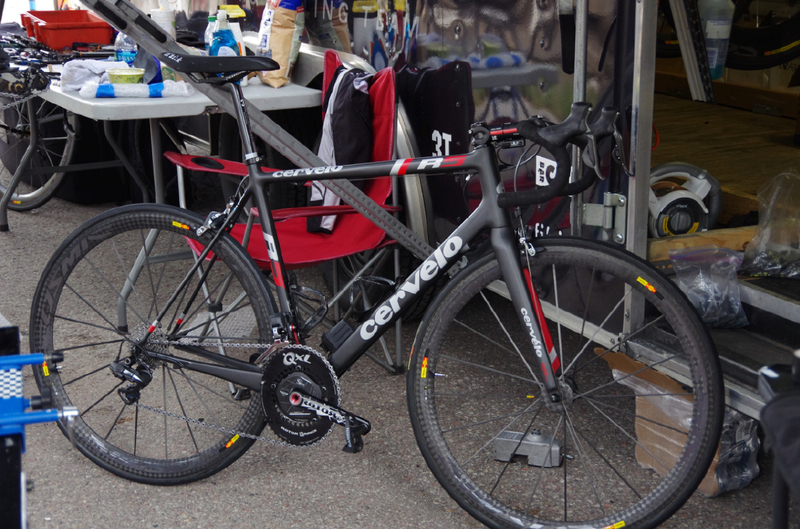 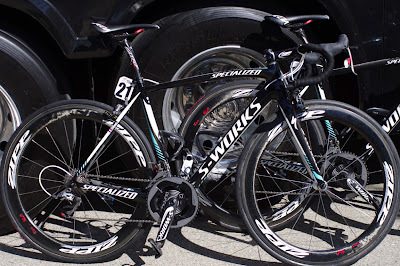 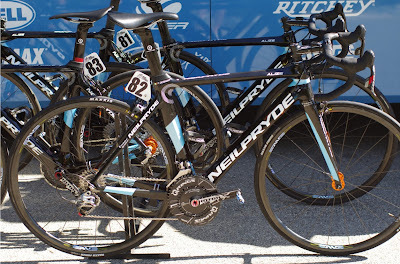 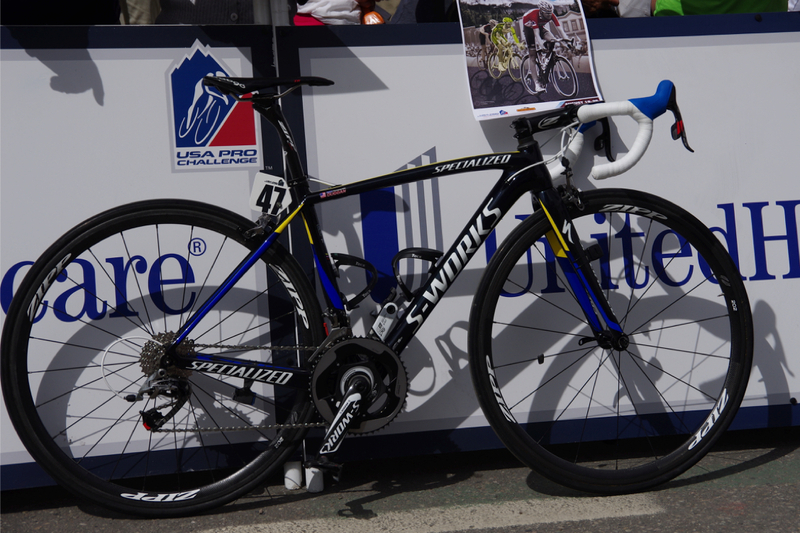 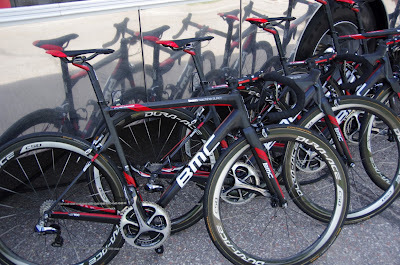 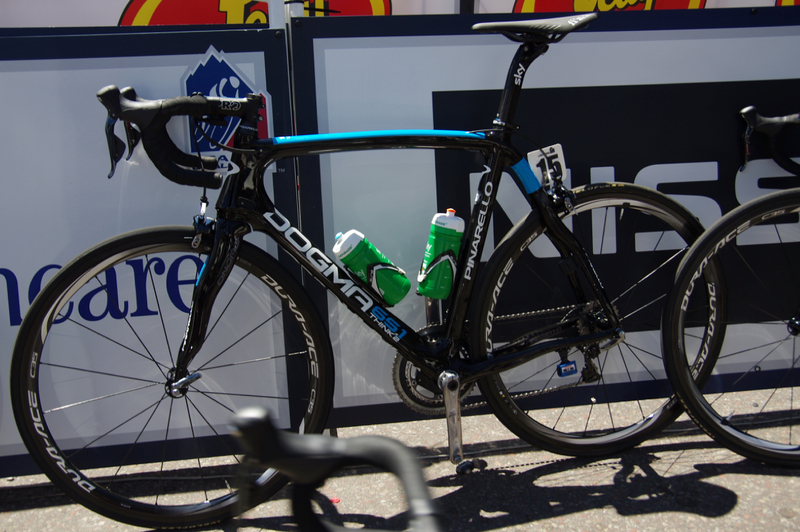 Next year, the 2014 fleet of bike frames might appear with new paint schemes, slight changes, or remain much the same. 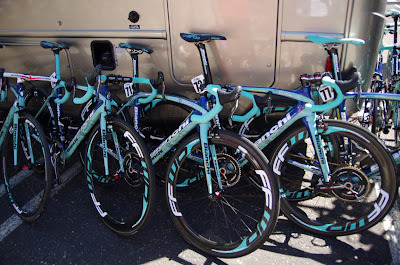 I hope they show up with even more flashy colors and graphics. Time to print up the supply of rider name tag labels to affix to the bikes, begin the inventory wishlists between the teams and equipment sponsors, and schedule some quality bike team mechanic time. 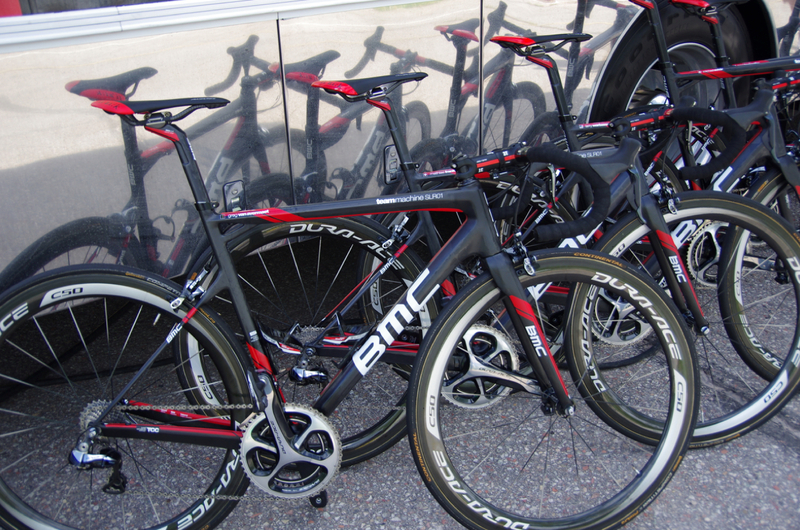 Say goodbye to these old bikes of 2013, a new crop is arriving soon. 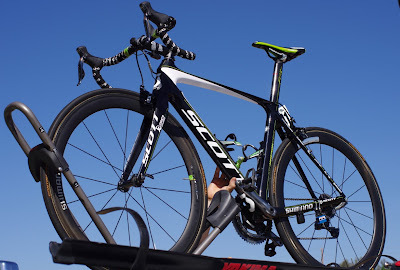 What will Peter Sagan's bike look like next year? 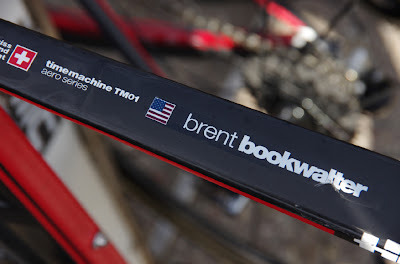 Will Brent Bookwalter get a new badly needed bike label in 2014? On a side note, if Cannondale happens to have a used but safe fork hanging around that would fit my Cannondale Evo Supersix - I'll take it, my bike, and my cycling career have been benched until I locate one. Thanks in advance. 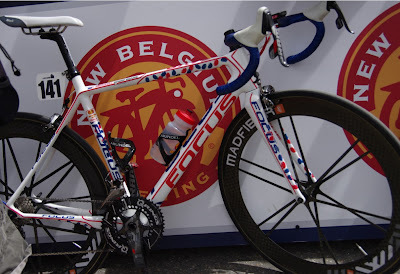 I recently compiled this post: All the Road Bike Reviews of the 2013 Tour de France. 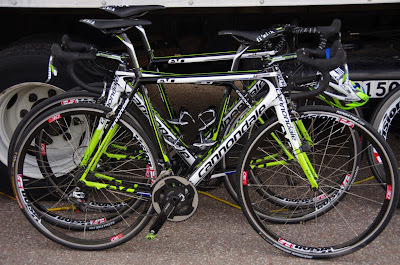 Just in case you are in the market for a new road bike.